We are working with communities in South London to get people online. Community Connected runs a regular training session on the Cambridge Road estate called Technology Thursday. It's a drop in session where you will find a group of staff and volunteers who know just about everything about computers, getting online, connecting to the internet, using the internet to buy and sell things and where to get the best deals. We even do smartphone and tablets. We work with complete beginners or someone who is just a bit rusty on their skills. Drop in to find out more. We supply local charities with our refurbs and if you would like to us to look after your computer network, think about joining Superhighways as a member. There are so many confusing terms and options when it comes to sorting your home out with broadband. There are also a large number of companies that want your business - so you are in a buyers market. Come down to talk to us. You can talk to one of our members of staff or trained volunteers who will listen to what you want, work out what's best for you and then help you find the best deal. We use comparison websites to get the best offers on broadband as well as cost savings on utility bills. So why don't you bring your bills down with you and we can get you sorted out with those as well. People online on average save £475 per year by getting good deals for basic things online. Volunteering - do you want to help local people get online? 20 % of the people living in your area do not have online skills. The skills they need are simple - email, internet searches, how to fill in online forms, how to shop online. Once you have shown them these basic skills, you will have begun a journey of a life time for them. Can you spare between 3 to 6 hours a month to join our tutors and other digi buddies at our training sessions? Follow this link to read more about our Digi Buddies project. 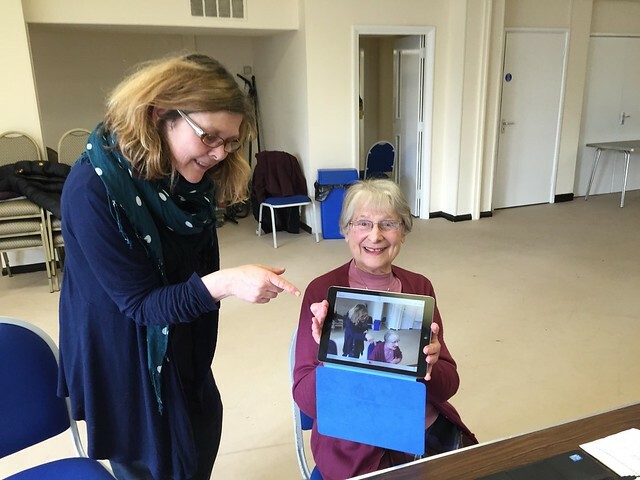 Preserving the memories of a local community in our virtual village. We recorded in sound and pictures what residents remembered from celebrations to mark the end of WW1 to street parties organised for the 1977 Silver Jubilee.